The MTSU Student Union serves as a gathering space and “living room” for the university’s students. Its timeless design strengthens this unifying campus element which includes a prominent linear atrium. This three-story atrium brings the community into and through the building, providing visual orientation and acting as a “front porch” for outdoor socialization space facing the quadrangle. As one of the major structures to define the edges of the campus quadrangle, the building utilizes a consistent campus vocabulary and varied massing to create an engaging green space. Ample seating areas under shade trees and wide sidewalks accented with granite bands complete the edges of this outdoor space. The north lawn, designed as a shallow amphitheater, and the larger south lawn which accommodates large outdoor events provide shaded gathering and recreational opportunities with perimeter pedestrian circulation. The three-story student union includes a campus bookstore, food court, restaurant, ballroom, pre-function, movie theater, parliamentary room, conference rooms, lounge spaces, game room and computer group study areas. Traditional materials such as limestone, brick, and glass speak to the context of MTSU’s academic legacy while also highlighting this vibrant campus facility. 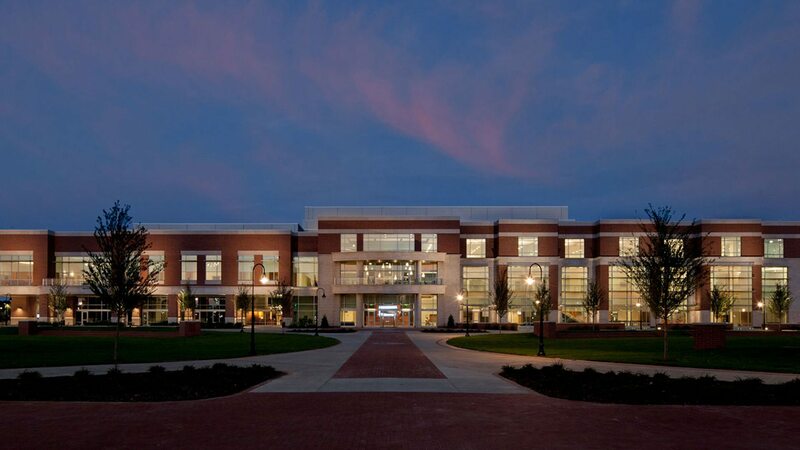 The design of the MTSU Student Union was a Joint Venture between Street Dixon Rick Architecture, PLC and TMPartners, PLLC.